As Cubans grieved over one of the worst air crashes in the island's history, investigators hoped that the recovery of one of the recorders from a leased Boeing 737 would yield clues to what caused the 39-year-old aircraft to fall from the sky and explode in a yucca field. The cockpit voice recorder was recovered in good condition, Transport Minister Abdel Yzquierdo Rodriguez said over the weekend. Authorities are still looking for the plane's flight data recorder. Only three of the 113 people aboard the plane survived Friday's crash. Cubana de Aviacion, Cuba's national airline company, had leased the plane from Global Air (Damojh), a Mexican firm. The aircraft went down at 12:08 p.m., shortly after it left Havana's Jose Marti International Airport on a flight to Holguin, 420 miles away in eastern Cuba. Yzquierdo said the plane had arrived in Cuba less than a month ago, its certifications were in order and that the Mexican company was responsible for the plane's maintenance. Because Cuba doesn't have pilots certified to fly Boeing aircraft, Yzquierdo said it hired a Mexican crew. The entire crew died in the crash. The Associated Press reported that the same plane had been barred from Guyanese airspace last year. Guyanese Civil Aviation Director Capt. Egbert Field told AP that the crew had been allowing dangerous overloading of luggage on flights to Cuba. Guyanese authorities said that luggage had even been stowed in the plane's restrooms. 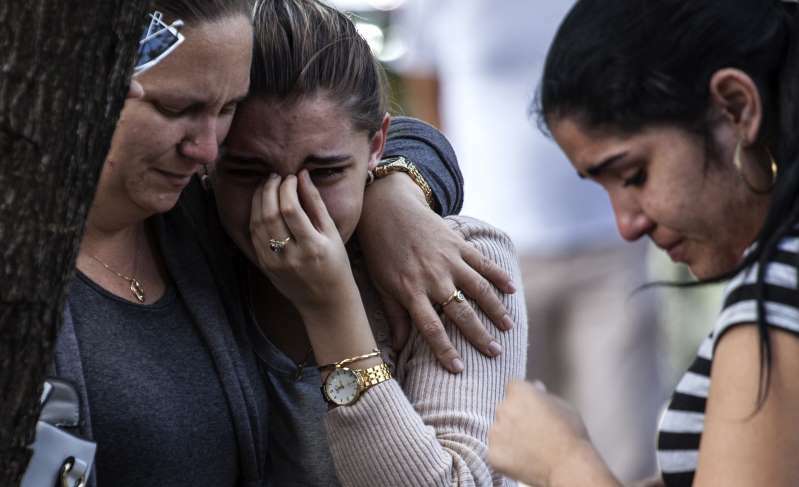 Friday's crash was among the worst aviation disasters in Cuban history. The worst in terms of loss of life was the 1989 crash of a Soviet-made Ilyushin 11-62M en route to Milan. It crashed into the Rancho Boyeros neighborhood shortly after takeoff from the Havana airport, destroying 19 homes and killing 150 people, including 24 on the ground. Meanwhile, Cuba entered its second day of national mourning for the crash victims. The first funerals were held Sunday in Holguin.